Raising money for extracurricular activities is typically high on any school’s to-do list, but what about raising awareness for recycling? 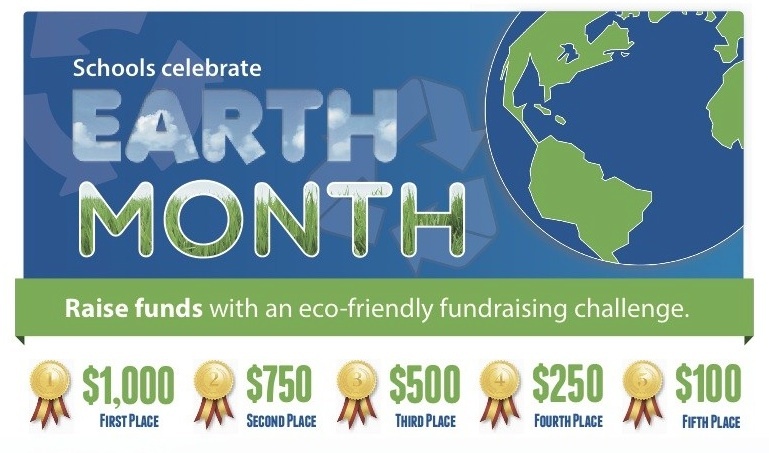 USAgain is proud to announce that schools can do both in the Earth Month Challenge. For every item of clothing and shoes diverted from landfills through this program, the school will raise money and foster recycling awareness. All participating schools will raise money based on pounds collected, and the top five collecting schools will win additional cash prizes of $1,000, $750, $500, $250 and $100. Schools will be able to track their collections on USAgain website.